Did you know wild cattails were edible? Yes, those distinctive plants growing alongside the water’s edge can easily be harvested, providing a source of vitamins and starch to your diet all year round. This common grass is very easily identified in nature and its benefits as a food and more are numerous to everyone from a day hiker to a wilderness survivor. 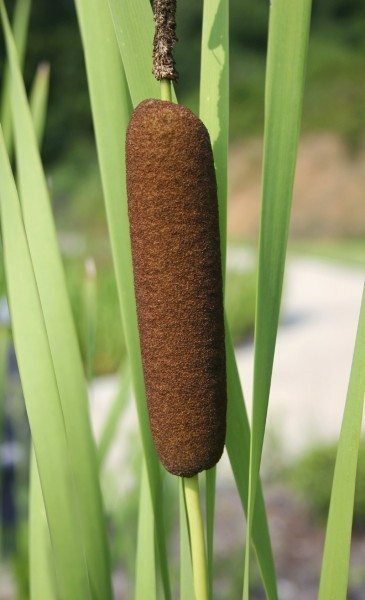 Read on to learn more about what cattails are used for. Virtually all parts of the cattail plant are edible at some point of the year. Cattail harvesting can be as simple as picking one right off the plant in summer. The lower part of the stem is white and, when eaten raw, tastes like cucumber. If you cook it, it tastes like corn. The pollen can be removed from the stalk simply by shaking into a paper bag and using it as a thickener to soups and stews. In late summer, the green flower heads can be eaten like corn on the cob. In autumn, the roots can be harvested by soaking in water until a gel forms. You can use the gel in bread making and soups. 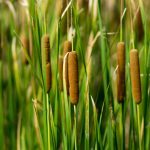 What are Cattails Used for? In addition to harvesting cattails for food, they have many other uses. Basically, cattail harvesting can provide water, food, shelter and fuel for fire, almost everything needed to survive in the wild. The brown, tight heads can be used as a torch when dipped in oil or fat. The gel found within the leaves can be used medicinally as a topical anesthetic. The heads provide puffy wool-like material that can be used for insulation of clothing, mattresses and padding when sleeping out in the woods. The leaves, when cut, dried and resoaked, can be used for mats, baskets, hats or ponchos. Next time you pass some of those wild cattails blowing in the wind, remember all of the things cattails are used for and how easy harvesting wild cattails can be. Disclaimer: The contents of this article is for educational and gardening purposes only. Before ingesting ANY herb or plant from the wild, please ensure you correctly identify it or consult a professional wild plant harvester for advice.